So you are the proud caretaker of a new crystal, or perhaps a number of them. What now? There are many writings on crystals, often based upon classifications such as physical makeup, mineral variety, geometric shape, colors, and locations. This kind of information can be useful, but most important is to trust your own inner feelings and intuition. Nevertheless, I can suggest a few ways of attuning to their energies and qualities. First of all, the process of clearing, cleansing, and charging is very important. Although there are several methods for doing this, I have found that the less complexity, the better. Begin by holding the crystal under cool running water for several moments, visualizing a ray of clear light penetrating into the core. Clearing and cleansing can be accomplished in this easy way. Since crystals can pick up negative energies from the environment, or when used for healing, this process needs to be repeated at regular intervals, whenever you feel intuitively to do so, or the exterior has a sticky sensation. Next, charge the crystals by placing them outdoors in sunlight (never do this with citrine or amethyst, as the color will fade quickly) or moonlight, within a crystal grid, on top of a crystal cluster, or near or touching one you deem powerful, for at least 24 hours. Leaving them outside in rain and snowstorms can also increase their energy. Then attune with the crystal to discover its best purpose, e.g. balancing and harmonizing energies, gaining mental clarity and understanding, healing. Place it on an altar table, bookshelf or windowsill, where its forces can radiate throughout the room. Meditating whilst holding the crystal can be a wonderful way to increase feelings of peace, harmony, and acceptance of life situations. It can also be a gateway to other dimensions of time, space, and consciousness, increasing intuition and understanding. As crystals amplify energy, be discerning in this process. 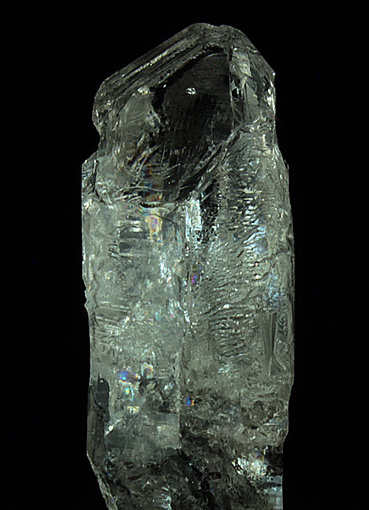 For example, I have found that elestial crystals particularly have the ability to bring things long hidden or repressed to the surface, and so a certain caution needs to be used in working with them. Be ready to face past feelings, emotions, and memories that need to be transformed in order to move further along the spiritual path. Above all, working with crystals requires openness and a sense of exploration. Trust your experience, and enjoy the adventure!